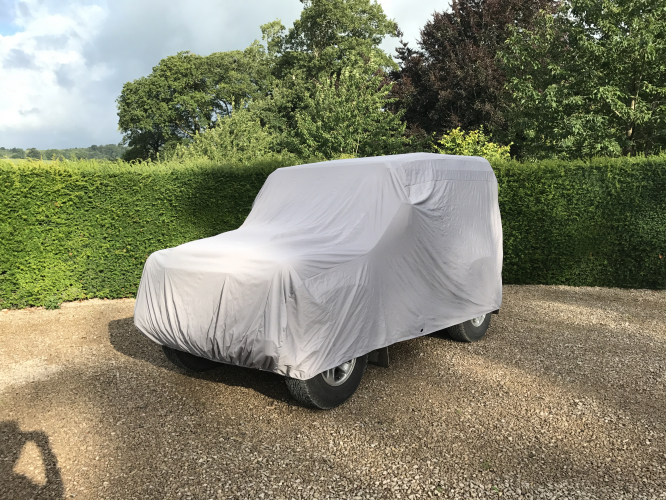 The New Classic Additions Land Rover Defender 90 Ultimate Outdoor Cover. 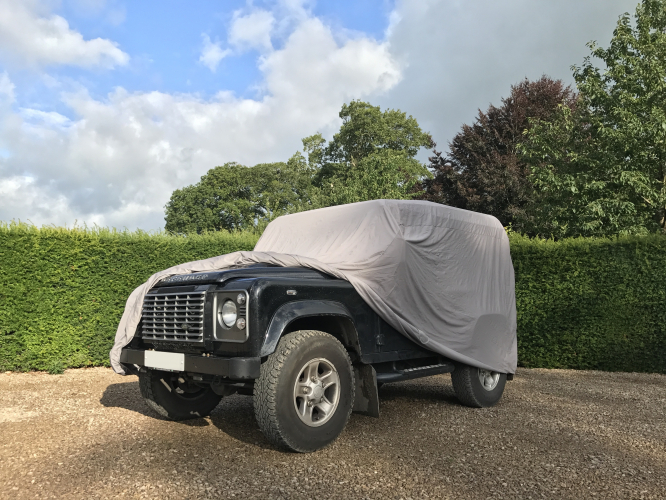 We are pleased to launch another of our semi-fitted Ultimate Outdoor Car Cover range; our Land Rover Defender sized cover. 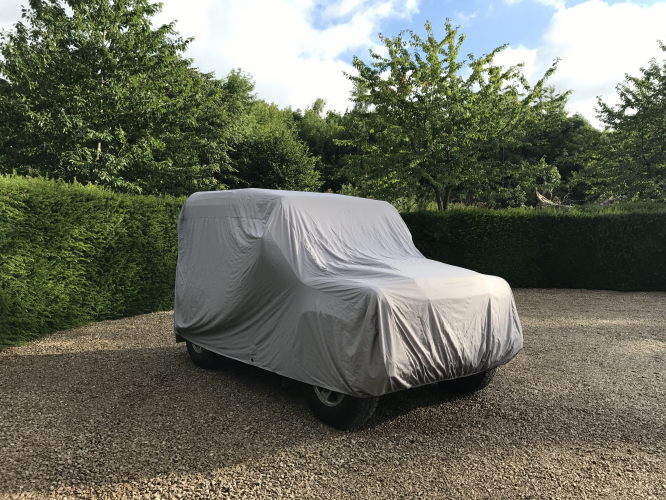 Earlier this year we introduced our VW Van Ultimate Outdoor Car Covers, which have been really popular amongst not just VW Transporter owners, but also customers with other similar sized vans. This isn’t the last of the semi-fitted covers either; those of you who sign up to our newsletter will have had a sneak peek at the next cover to be launched. The Land Rover Defender started production in 1948, and was used across the world and was also hugely popular with the military. Sadly, production came to a halt in 2015 after an incredible 67 years with over 2,000,000 built during that time. Whilst in production, there were numerous variations to the Defender, from the 90 to the larger and more unusual 130 Pickup. The Defender quite rightly became somewhat a British icon over the last 7 decades. 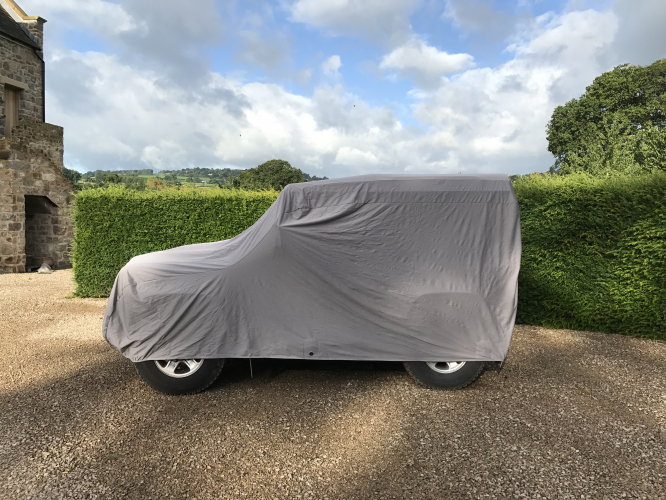 For the larger Land Rover Defenders, our standard fit 4x4 covers work really well, however the Defender 90 is an unusual shape; they have a short wheel base but also stand at nearly 2m tall. The majority of our standard fit car covers won’t accommodate this height, and the 4x4 covers are too long for the Defender. 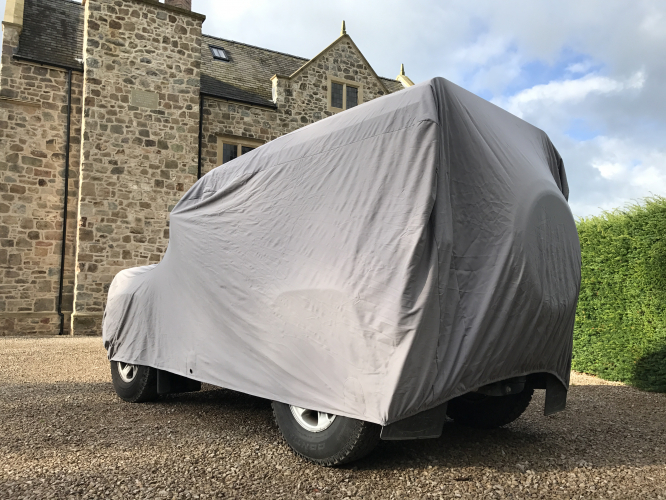 We have produced some Custom Made Ultimate Outdoor Covers for the Defender 90 in the past; however these can be out of budget if you’re looking to simply cover the vehicle over winter. The Defender is a vehicle we get asked about quite regularly and as time goes by these are becoming more and more collectible. 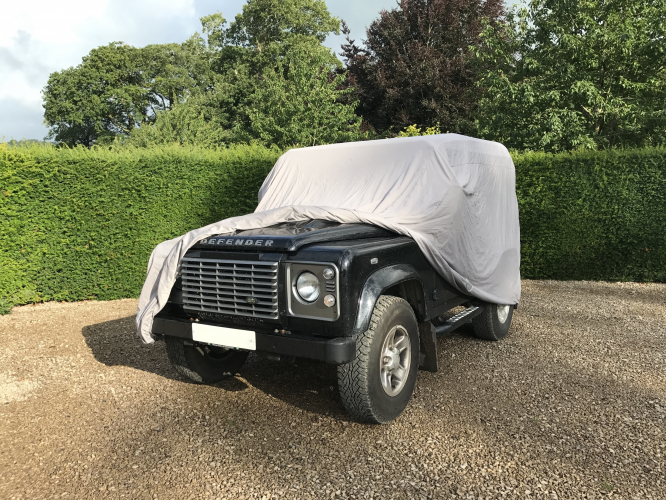 With thanks to a friend who kindly let us use his Defender 90 for some photos, we took a cover up and gave fitting it a go. 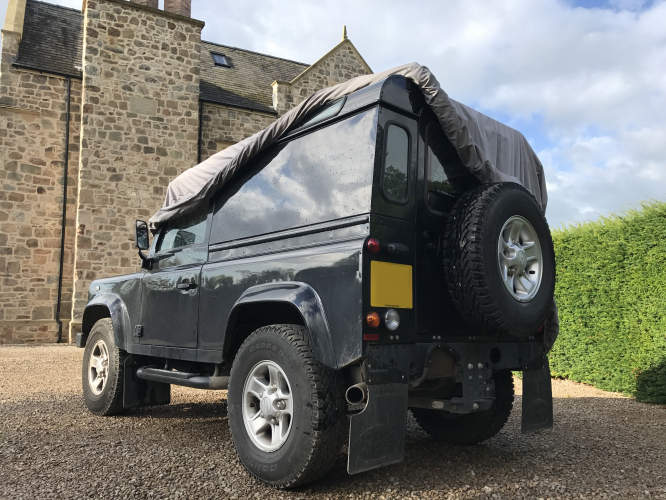 Our Defender sized Ultimate cover was really easy to fit with just one person, despite the height (the side and rear steps did help however). All that had to be done was find the label in the cover that shows the front position, unroll the cover across the roof and down the bonnet, and then it was a simple case of unfolding the sides down the body of the vehicle. The cover fit really well over the Defender, and has enough space to even fit Defenders with snorkels and roof racks. This Defender had a spare wheel on the back door, and there was still plenty of room. 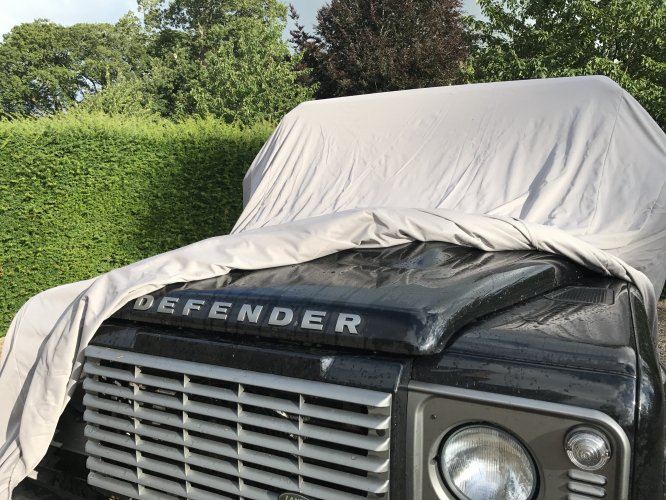 These covers are the perfect solution to covering your Defender 90 without the cost of a custom made cover. They are available for just £260.00. These covers are waterproof, breathable, strong and slightly stretchy. The covers use an advanced Nanotechnology formula giving a unique water resistant coating to ensure long term protection. These covers are available in our most UV friendly light grey. Our Defender covers will fit all variants of the Defender 90. Take a look at the photos below, and give us a call in the office if you need any further information.